How Many Hairs Do We Lose Each Day? Though it may sound like a contradiction, losing hair is a totally natural part of the hair growth cycle. Hair grows during the anagen phase, follicles shrink during the catagen phase and hair rests during the telogen phase. 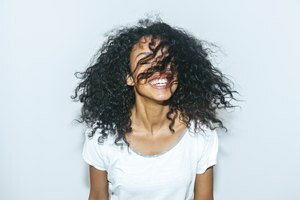 When the exogen phase rolls around, resting hair falls out, but worry not -- it normally makes way for new hair to take its place. Generally, losing 50 to 150 hairs each day is completely normal, and this goes for both women and men. 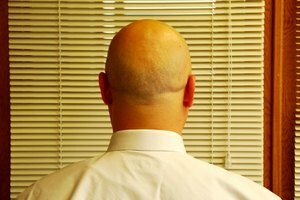 Considering that the scalp contains about 100,000 hairs, this sort of shedding is no sweat. You'll notice regular shedding when you shampoo, comb or brush your hair, or wake up to find a few strays on your pillow after a good night's sleep. 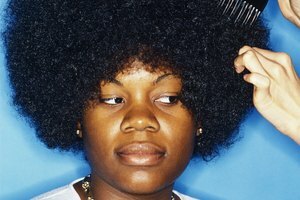 At any given time, about 90 percent of the hair on your head is in a growth phase, leaving 10 percent to rest or shed. If you're curious about whether your shedding is average or above average, perform a simple test at home. Take hold of about 60 strands of hair, and then pull the hair and run your fingers through it. You should lose about five to eight hairs; pulling out more than 15 hairs using this test indicates above-average shedding. If you experience above-average shedding, it may be a result of temporary stress, or it may be a sign of long-term hair loss. The former situation, excessive shedding known as telogen effluvium, occurs after major stressors such as childbirth, serious illness, surgeries or rapid weight loss. This type of shedding typically reverses itself within nine months, as the body recovers from the stress. On the other hand, anagen effluvium happens when something stops the hair from growing. This type of loss continues until the cause of the stoppage is treated. Hereditary hair loss, the most common type of anagen effluvium, falls into this category; in this case, men will notice a receding hairline and thinning on the crown, while women experience overall diffuse thinning or hairline thinning behind the bangs. If you experience a significant increase in daily shedding, visit your dermatologist. A qualified dermatologist can identify whether your hair loss is temporary or long-term, and recommend individually tailored treatment methods to get your hair back on track.